When we consider our general wellbeing, it is a concept that encompasses all facets of a healthy body and mind. We need to ask ourselves questions around our diet, habits and lifestyle, whether they are supportive or worth keeping. Are there other means we can adopt to ensure a good state of health? These days, most people are taking some form of a supplement or superfood, as our knowledge in society has grown, with regards to natural health. Our external world is vastly changing all the time, so we need to incorporate these extras, in order to cope with life on a daily basis. 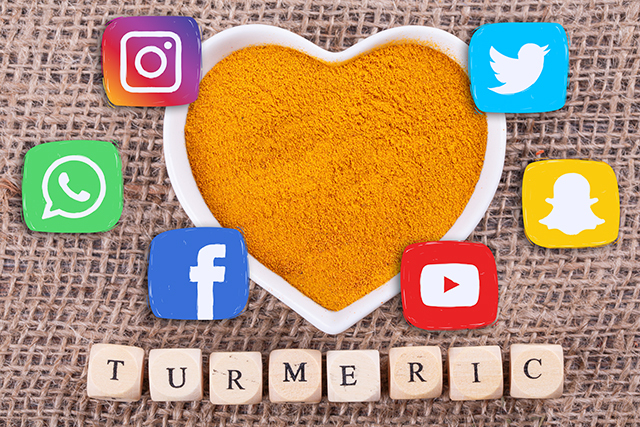 One particular nutrient that has received a lot of social media attention lately, is Turmeric. Extracted from the root of Curcuma longa, a leafy plant in the ginger family, and known for its culinary use, Turmeric has undergone countless studies of both internal and topical use. 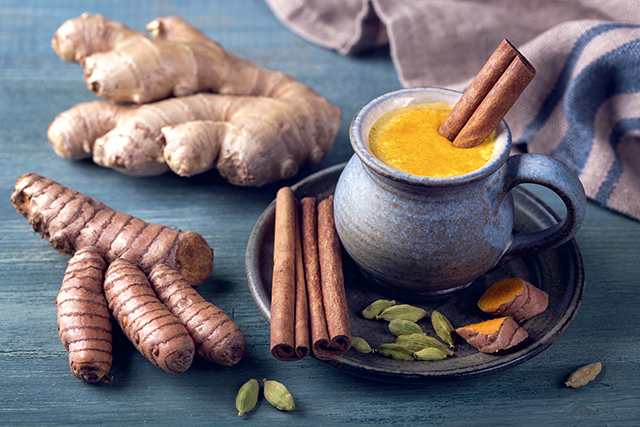 When you look at Turmeric with its vivacity in colour and multiple uses, it's no surprise to find that this whole food extract reaches out a benefit to every organ and every cell in the body. The main ingredient, 'curcumin,' (a word which can be interchanged with 'Turmeric'), is a substance with powerful properties and part of the curcuminoid antioxidant complex which acts as a centre piece; directing an action through many paths in the body. It neutralizes free radicals and helps the body target foreign invaders by involving the body's own front line of immune support. It can divert molecules, known to contribute to the wear and tear of tissue in muscles and joints, while maintaining repair. Curcumin offers digestive bowel support by soothing the gut lining and bile secretion from the liver. It also encourages the level of brain hormones that support the growth of new cells, as it can cross the blood-brain barrier. 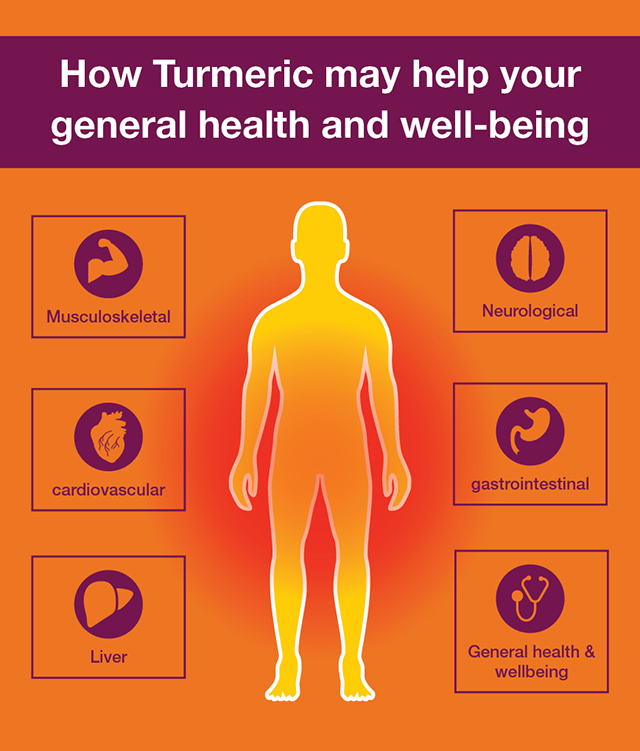 Turmeric can lead to changes on a molecular level that supports the whole system, because it is so broad acting... to put it plainly, turmeric means total wellbeing. It is now considered the perfect addition to the diet and can be as easy as breaking open a capsule of turmeric and popping it in your morning smoothie. This spice has reached outward bounds of versatile use and is now considered worthwhile to a regime that supports overall health. So, if you are ready to make some changes, this is the place to start.